Fiberglass pools have advantages, and a few disadvantages, just as any pool construction material does. Another question pool contractors are asked, too is “how much does a fiberglass pool cost?” The answer is, “it depends” as there are many factors that go into the overall price of a pool project. It’s difficult to pinpoint an exact figure when you’re first meeting with a pool contractor because there are many factors that determine the overall price. Your pool contractor will need to come to your home, measure the area, test the soil and work with you to determine the size and shape of fiberglass pool you will have installed. Each swimming pool project is unique. Each yard is unique. Each family who desires a pool wants different items in their family pool. 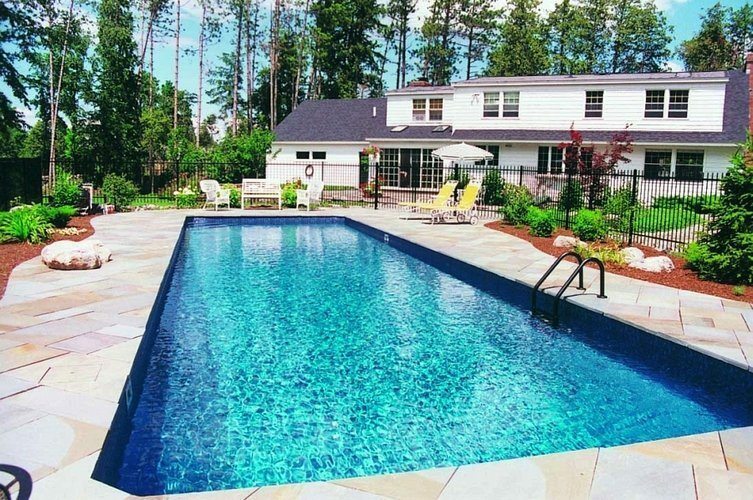 Because of all of that you can see how a pool contractor can’t simply say, “It will cost $25,000 for your project.” A pool contractor could give you a range of price range, but will need to work closely with you to give you an exact figure. Thinking that you can get a definite price from the get-go is like saying it will cost you $100,000 to buy a home. Sure you can find a $100,000 home, but will it be the home of your dreams? Swimming pool projects have differing price points and they hinge on the decisions you make during the contract phase. It also hinges upon the type and style of pool equipment you will have in your pool, whether you want a heater, a hot tub, a diving board, a deep end, what you want for your outdoor living area and more. There are myriad options and variables when putting together your pool project and they all go hand in hand to determine the price of your fiberglass swimming pool project.